← The Secret US Classics Are Here! The USA 2013 Season is underway, with the big meets approaching quickly. The 2013 US Secret Classic is this weekend and the National Championships are under a month away. Let’s take a look at the major players for Classics and over the next month we will take a look at at those going on to the National Championships in more depth. Some Names That are Hard to Forget. 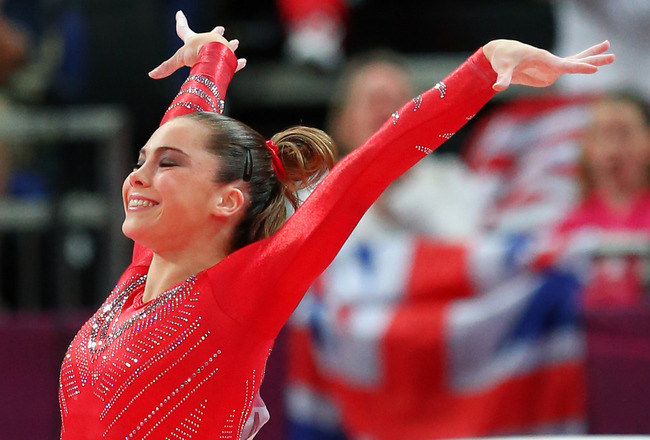 Though all five members of the Fierce Five are currently in training, only two have set their sights on competing in 2013 – Kyla Ross and McKayla Maroney. Both look to have regained all their former skills and are working on new skills as well. 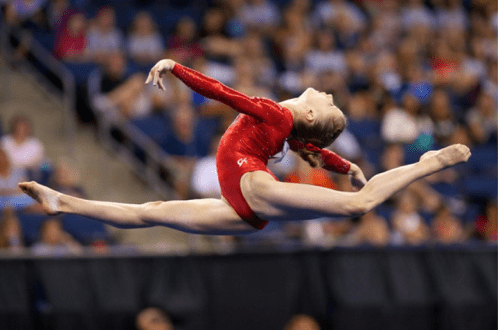 The gymnastics community will welcome these stars back with open arms! One of the greatest vaulters of all time, without a doubt, McKayla Maroney is one of the most charismatic, savvy representatives of the gymnastics world. She has become a household name – loved as much for her not impressed meme as her ever impressive vaulting ability. After multiple surgeries, an incredible amount of public appearances, red carpets, talk shows, tv series appearances and more, McKayla has somehow managed to return to training. Not only has she regained her former skills rapidly, she is already showing upgrades for the coming year. McKayla seems set to not only defend her ability as the best vaulter in the world, but to show that she can contribute on other events as well. 2013 will be an exciting year for her. Kyla was the first of the Fierce Five to return to training. Determined to keep her NCAA eligibility in tact, she did not go professional, and therefore the draw of all the opportunities as an Olympic gold medalist did not hold the same allure for here. Kyla has been training hard for this season since shortly after she returned from the Olympics. She battled a small heel injury, but seems to be in top shape as she goes into these competitions. She has quickly gone from the baby role on the Olympic team to that of seasoned veteran and leader. Some Names You Might Remember. Then there are returning seniors who made a splash last year, but didn’t make the Olympic team. Each of these girls are hoping that this year is their year! Kennedy made a strong bid for the Olympic team last year, just falling short of her dream. She is expected to be a strong contender this year. Brenna competed in the Olympic Trials last year with a broken hand. Despite this, she had a strong showing. If her training videos are to be depended upon, she is most definitely a force to be reckoned with this year. In fact, in my opinion, she definitely looks like one of our strongest possible all arounders for 2013. She looks to be ready to debut her amanar, has difficult tumbling in the works and a strong bars set. She is definitely making a name for herself. Some Names you Need to Know. There are a number of very talented new seniors. These girls have made a strong showing as Juniors, and many in the gymnastics community have looked forward to their Senior debut. However, the first year in the quad is a hard year to become a senior as it can be very difficult to hold a top level through the next Olympics. Simone has been a rising star since last year with an incredibly strong showing in her final year as a Junior. She has continued to come on strong in her debut Senior year. She is incredible on vault and floor, and has a strong enough bars and beam to be a strong all around competitor. In the absence of Kaitlyn Ohashi and the Fierce Five all arounders, she is definitely in contention to be one of the strongest American All-Arounders of 2013. Lexie has had an incredibly strong Junior career, and is in fact the current US National Junior Elite Champion. It has been assumed that she would be one of the strongest debuting seniors in the US arsenal. However, her early 2013 has not been as strong as expected. That to be said, Lexie is a talented all-arounder and a strong competitor. She is definitely not one to count out. The following girls have made some name for themselves as Juniors and definitely have a lot to offer as seniors. areas of contribution for the US National Team. Peyton was strong as a Junior, but not one of the top names. However, she has been given a number of international assignments this year and has done very well. She is incredibly elegant on floor and has lots of potential as a strong all arounder. Maggie also has been given a number of international assignments this year. She has a fun floor routine opening with a beautiful double layout!